Matthew Stafford and the Detroit Lions suffered through another frustrating campaign during the 2018 season, and fans are growing restless. Based on comments made by general manager Bob Quinn, however, the team isn’t looking to upgrade at the quarterback position going forward. Quinn also said there were “numerous things where he wanted to play through it and our doctors said he could play through it” in addition to the back injury that was on the injury report late in the season. Detroit finished the season with just six wins, missing the playoffs for the seventh time since Stafford joined the Lions back in 2009. Perhaps even more troubling is that Stafford only passed for 3,777 yards, marking the first time in his career that he didn’t hit 4,000 yards in a full season. 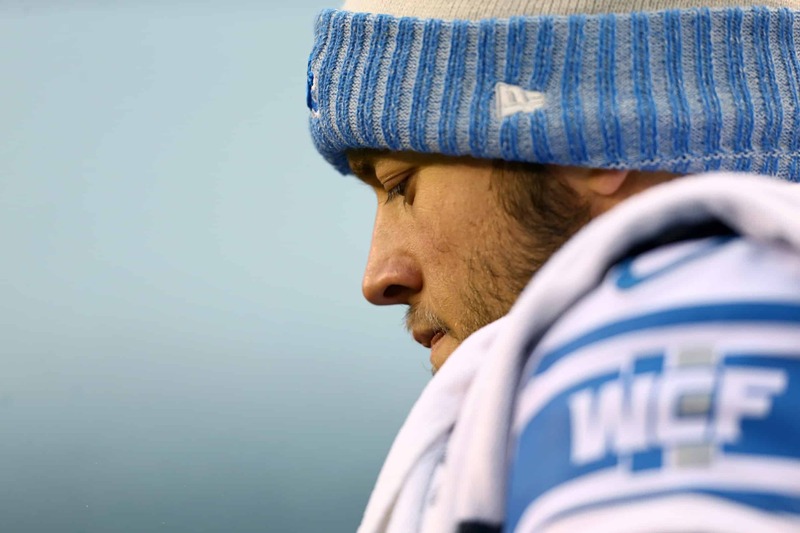 His 21 touchdowns also marked the lowest total for Stafford since 2012. Additionally, the Lions ranked 24th in the NFL in total offense and 25th in scoring offense. All that being said, Quinn made it clear that he doesn’t blame Detroit’s offensive shortcomings on Stafford. While Stafford’s play was certainly not of the highest quality this year, it’s hard to argue that his teammates didn’t contribute to the frustrating season. Far too often he was brutalized in the pocket — who can forget the 10-sack game he endured at the hands of the Minnesota Vikings in November? Also, the highly anticipated breakout campaign from Kenny Golladay was somewhat stunted because he was wonderful some weeks and invisible in others. Clearly, there’s a lot of work ahead for Quinn and Co. to build the roster into a contender. It’s going to be an adventure for Lions fans in the coming months to see if and how their team can address the shortcomings that have led to such a frustrating downfall.